Spoiler alert: this is going to be a rave review. Ultra-Gloss is my favorite lip gloss of all time. Here’s how much I love this gloss: I paid $23 for it, was made to throw it out at the airport during the “liquid” scare by security Nazis fine upstanding IAH employees just doing their job, and went back to Macy’s as soon as I got home to buy it again. I am a huge Dior fan. It’s not only the high-end designer appeal, but also the lush girlishness of it; while Chanel’s packaging is simple and elegant in black and white, Dior opts for colorful, embossed cases with shine, and the Addict line is no exception. I use shade #573, which is a bit darker than my everyday obligatory salmon-colored gloss. I’m a bubblegum-color devotee, but #573 is an unusually coy and playful dark pink, a far cry from the stodgy Estee Lauder lipsticks the color’s idea conjures. The gloss is filled with tiny specks of shine, but isn’t Wet-N’-Wild, drag queen shimmery. And the texture is phenomenal: thick, luscious, and silky, but never sticky. The Verdict: 10 out of 10. Buy this, no matter what shade, no matter who you are. 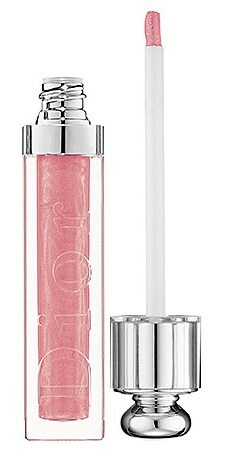 Dior Addict Ultra Gloss is available for $23 from Amazon.com. This seriously looks sooooo luxe I love it. The packaging. Fantastic.